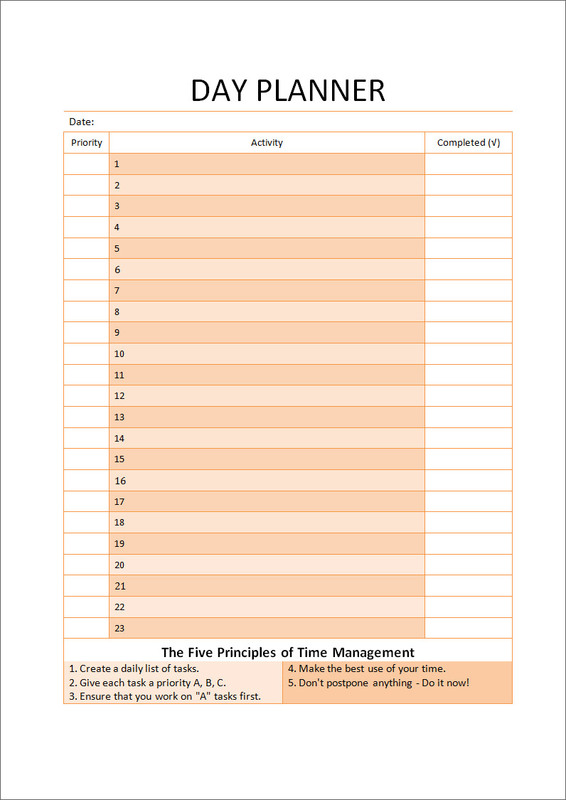 Following is a free printable day planner template which you can print, fill in your daily goals and tick them once completed. 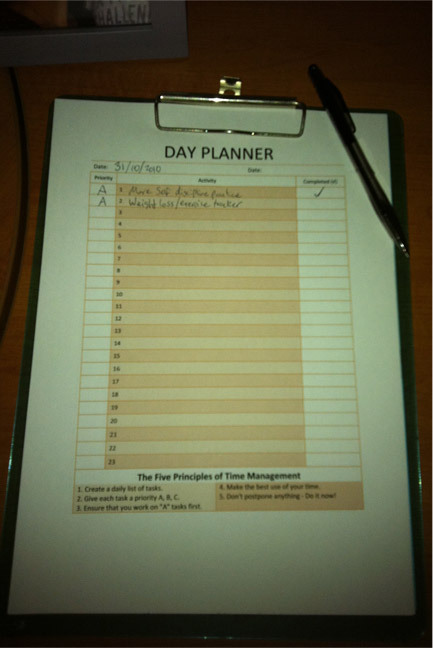 The printable day planner template is provided in .doc (Microsoft Word) format. Print out 7 copies for the week. Each day, take some tasks from your Goals List Template and write them onto your day planner. Pin your day planner to the wall next to your work area. Complete all of the tasks before the end of the day. Having written goals for the day will boost your self discipline immensely. Download the template now and get started achieving your goals.